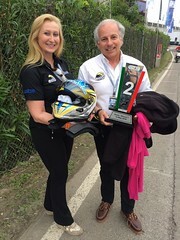 Silverstone, Northamptonshire (UK) – Sunday 31 May 2015; Briton Adrian Quaife-Hobbs drove an assured final stint at Silverstone on Sunday, to win the Silverstone 500 with former FIA GT3 European champion Gilles Vannelet aboard the #12 Von Ryan Racing McLaren 650S. A last minute-entry to round four of the Avon Tyres British GT Championship, the duo lined up on the front row after a stunning qualifying performance on Saturday, that netted the second fastest time. 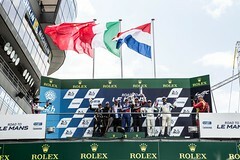 With Vannelet returning from Le Mans testing to start the three-hour endurance race, the pair took the lead at Maggotts Curve when the early leader spun away his advantage. Maintaining a strong pace at the front, Vannelet held on to the lead, building an eight-second gap, until the Safety Car was deployed to collect two stranded cars after just 30 minutes. Taking the opportunity to pit for one of the three mandatory driver change pit stops, Quaife-Hobbs took the wheel, re-joining the race in fifth place, and thereafter set about moving up the order, as others pitted later in his stint. Running second at the one-hour mark, Quaife-Hobbs pitted for the second stop, handing over to Vannelet who returned in 11th place. With two hours remaining, the Frenchman steadily moved through the field to take the lead before pitting for the last time and handing the car back to Quaife-Hobbs for his final stint. The last hour looked certain to hand the Tonbridge racer his debut sportscar win, and the second for the Dave Ryan-led team following its maiden Blancpain Endurance Series victory at the same track last weekend. Now running second and with all their stops completed, the leading car was one and a half minutes ahead, but with one more stop still to take. Setting times five seconds a lap quicker, the Tonbridge racer narrowed the lead drastically over the final minutes. Even a heart-stopping moment, when a slower car on the racing line appeared in front of the flying Briton, could not prevent him from bringing the gap down to under a minute, with some 30 seconds in hand. With 40 minutes remaining and all looking good for his maiden British GT victory, Quaife-Hobbs was suddenly handed the race lead early, when the #11 car ahead crashed heavily at Club Corner, forcing a second Safety Car period. At the restart Quaife-Hobbs steadily extended his lead to over one and a half seconds, but catching and passing the slower backmarkers cost him valuable time allowing the second-placed car to close the gap. 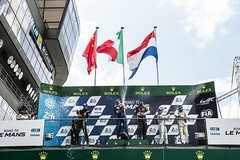 However the former AutoGP World Series Champion held his nerve, and the advantage, to cross the line just 0.588 seconds ahead of Joe Osborne with Alexander Sims, seven seconds adrift in third. 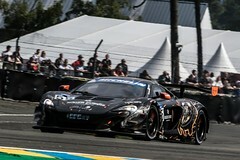 Claiming his first outright sportscar win, which came just after a week after a racing incident while lying third caused the #59 McLaren 650S of Quaife-Hobbs, Nicolas Lapierre and Alvaro Parente to retire early, the former single-seater ace proved more than a match for the regulars. He now looks forward to his next event, round three of the Blancpain Endurance Series at Paul Ricard, France, on 19&20 June. “That was an incredibly tough race,” said Adrian, “particularly towards the end, when I was faster in some sectors and Joe [Osborne] was faster in others, which allowed him to close up, but when I saw all those GT4s on the final lap, I thought ‘you know what, this race is mine to lose’. “The start was pretty tight too, I thought I was going to have to start as Gilles was late coming in from Le Mans, so I drove the car to the grid but then he arrived and we had a race pit stop to get him in the car. He did a fantastic job, pulling away to a 20 second advantage; I think his drive was rather underestimated.